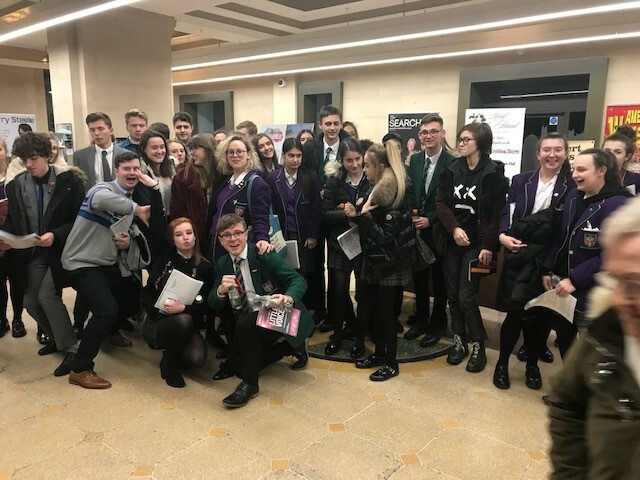 54 students from Westholme and their Drama teachers, were royally entertained at the Albert Halls in Bolton on Wednesday afternoon. The matinee performance of The Rise and Fall of Little Voice by Jim Cartwright combined Northern grit, humour and savagery with moving sentimentality. The students were awed by the lead character’s impersonations of some of the greatest divas the world has known.